Vintage is now underway in almost all wine regions across Australia. This is a fascinating and buzzing time to visit a winery with grapes coming in from the vines and being put through a variety of processes before appearing in bottles on the shelves in the cellar door in a few months or years. 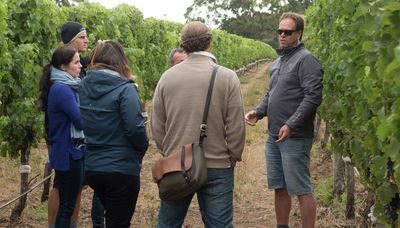 To see these processes up close, the very best option is to go beyond the cellar door and meet the people putting in the extra hard yards between now and the end of vintage in a few weeks. Meet the winemaking team at Audrey Wilkinson for a behind the scenes tour of the winemaking process conducted in the working winery. Following the winery tour, make your way along the winding road to the cellar door where you will be treated to a VIP tasting of premium wines and finish the day with a cheese platter overlooking the magnificent view. Visit Montalto’s Winery and experience first-hand the winemaking and grape growing process with a behind the scenes tour, hosted by Montalto’s highly awarded winemaking team. Taste Montalto’s range straight from the barrel and understand the important changes taking place in the vineyard as the grapes mature and in the winery as the wines develop. A tour of the winery will demonstrate how we do it and why, together with the little things that make a difference. Follow up the tour with a private and structured wine tasting in the Wine Experience room overlooking the property, featuring Single Vineyard Wines that truly reflect the location of the vines. Enjoy a long Feed Me lunch with wine in Montalto’s Piazza Café. The full Voyager Estate experience, from vine to wine, and garden to table. As you are taken around Voyager Estate, a tour guide provides you with an insight into winemaking and viticulture as well as the history and personalities of Voyager Estate. With only 6 guests at any one time, it’s the best way to explore the Estate. Discover the vineyards – the lifeblood of the Estate - see the winery barrel hall where you can taste wine from the barrel, and kitchen garden. You will finish the tour with a guided tasting of the wines. From here, you can take your healthy appetite through to the restaurant and experience a journey of the senses with a wine-paired seven-course Wine Discovery Menu. Enjoy the spectacular views of the vineyard whilst learning about De Bortoli's viticultural practices and touring the wine making facilities where you will have the opportunity to taste wines under production from barrels and tanks. Your knowledgeable guide will then spoil you with a decadent gourmet cheese and wine tasting in the De Bortoli Trophy Room. This experience will be structured to suit all levels of wine interest. Afterwards, be delighted at Locale restaurant with a 3 course Italian-inspired lunch with matched wines, followed by tea, coffee and house made biscotti to complete your Unique experience. 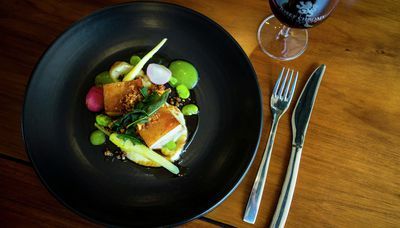 On this introductory experience, you will be greeted on arrival by a Jacob’s Creek host and seated in the restaurant overlooking the vines to enjoy a two course lunch, including a set entrée and main course (served platter style). varieties grown within the vineyard. A structured wine tasting will follow, incorporating approximately five wines and covering basic wine education. An informative yet informal opportunity to learn a little more about how a vineyard works and how the grapes develop throughout the season. 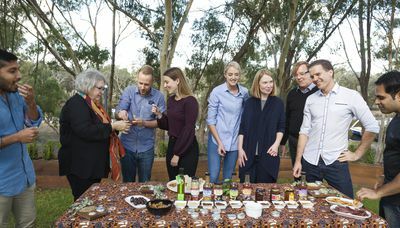 You will taste some wines in their unfinished state before heading to the Cellar Door for a two course lunch of fine Tasmanian produce matched with wines.